What happens when you use antiperspirant? Antiperspirants are hailed as god-send because they perform so well as a precautionary measure against foul odour and unsightly sweat stains. What if we tell you that this supposed ‘cure’ to body odour will actually worsen the very problem you are trying to solve? A new study published in a journal actually suggested that antiperspirants can make you smell worse ! Our body does not naturally stink. We smell ‘bad’ because the bacteria living on our armpits break down lipids and amino acids found in our sweat into substance that gives off distinct, offensive odour. Antiperspirants try to stop sweating – through aluminium salts – to plug up the apocrine or sweat glands. Essentially, if you do not sweat as much, there are not much ‘food’ left to feed the bacteria and hence, you do not have that much body odour. Contrary to actually resolving the body odour issue itself, the use of antiperspirants actually worsen your armpit odour because it affects the bacteria ‘ecosystem’ of your underarms by destroying the good bacteria. The aluminium in the antiperspirants kill off the odour-causing bacteria effectively. They are also killing off good bacteria or less odour-causing bacteria at the same time. The more potentially harmful bacteria grew back at a faster rate. There is higher level of Corynebacteria (bacteria responsible for body odour) in those who consistently use antiperspirants than those who do not use at all. Antiperspirants users who do not stop using the products have more than 20% unidentifiable bacteria. Here, these studies clearly demonstrated that antiperspirants use does alter armpit bacterial ‘community’ making them more species rich; this means that it can actually make the stink from your armpits more pronounced. Quitting antiperspirants may eventually mellow the smell as some who abstain the use caused the ‘smelly’ Actinobacteria to reduce into non-existence. A recent poll of over 500 parents showed that 50% of children between 4 to 11 years old are using deodorants or antiperspirants by age of 11. In the same study, only about 38% of parents are aware of the potential harmful chemicals that are contained in mainstream antiperspirants found in supermarket shelves. It is one thing to start using these products when you are an adult or in your teens, but our children do not need them right now. 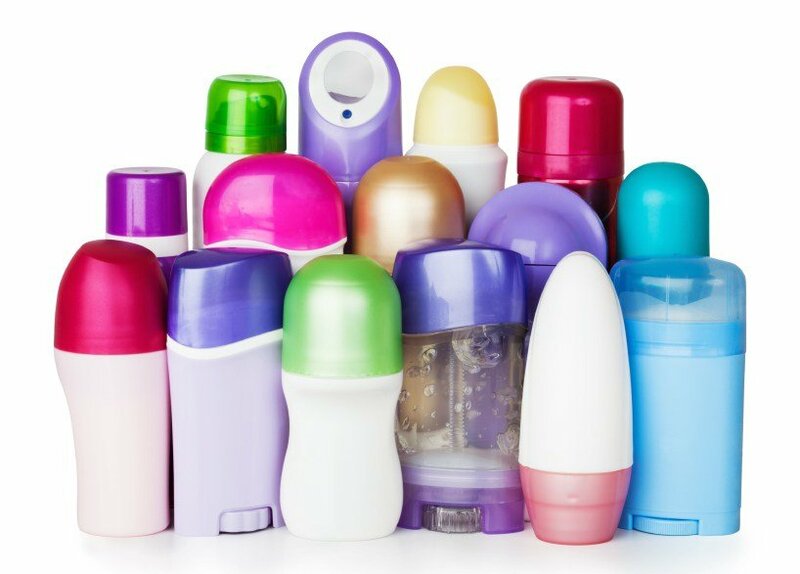 The long-term use of antiperspirants are not just about the altered odour profile of the armpits but the presence of aluminium and other potential (not proven but not disproved) health risks are too much to ignore. Data from one study was showing pattern of associating antiperspirant usage and shaving and the early breast cancer diagnosis. There is increased possibility of women developing breast cancer if they are exposed to cancer causing agents at a very young age – a risk that parents cannot simply ignore. The changing bacterial profile of your armpits isn’t probably the worst thing that can happen with using antiperspirant regularly. But, the very ingredients that are in these products are something that you should not overlook. While many people think of antiperspirant and deodorant interchangeably, they are essentially different. As described earlier, the body’s apocrine sweat is rich in fats and proteins and when they mix with the bacteria on the skin, they react to create body odour. Deodorant’s primary function is to mask or neutralize body odour using deodorizing ingredients or fragrance. On the other hand, antiperspirants work by stopping you from sweating. They use aluminium salts or aluminium-based compounds that physically plug your sweat pores to prevent sweat from interacting with bacteria to reduce or prevent sweating from happening in the first place. Holistically, sweating is a natural process of our body to rid itself of toxins and to regulate our body temperature. By blocking one of the body’s route for detoxification, it raises more concerns about how these heavy metals (aluminium) and other chemicals are stored in the body or where they end up. More evidence is showing that chemicals used in antiperspirants do not just stay on the skin, they get absorbed into your blood. Furthermore, many of these chemicals are far from ‘safe’ – precisely the reasons why there has been a natural body care movement where people are switching to natural deodorants. Aluminium is the active ingredient that is found in antiperspirant (usually at a concentration of 8 to 25%) that works to block your sweat pores and reduce your sweat. On the label of your antiperspirant, aluminium can appear as one of these variations: Aluminium Chloride, Aluminium Chlorohydrate, Aluminium Zirconium Tetrachlorohydrex or Aluminium Zirconium Trichlorohydrex. Aluminium has been shown to be absorbed through the skin intact from application of antiperspirant underarm . It remains in blood samples 15 days after 1 application to the armpit. When skin is damaged, from example from shaving, six times more aluminium can be absorbed . European Union (EU) had published a cautionary statement that antiperspirant should not be applied to damaged or irritated skin , yet it is so common that many are apply antiperspirant to shaved underarm area. Antiperspirants are typically applied to the underarm especially around the upper chest area and are left on the skin, allowing for continuous exposure to the aluminium salts. This also happens to be the region of the breast where the majority of breast cancers start. In the UK, over 50% of breast cancers started in the upper outer quadrant of the breast near the underarm . Whilst this might not be a direct indication that aluminium is the culprit, the breast cancer incidence tends to align with the use of products that contain aluminium. Aluminium was first recognized as neurotoxin (toxin that causes damages to nerves) in 1886. Accumulation of this in brain is linked to Alzheimer and other neurological diseases – anemia, memory deficits, Parkinson’s, etc. Whilst no studies have so far demonstrated a direct causal link, recent opinions have questioned the ascribed safety of using aluminium-laden products on our underarms [10, 11, 12]. Parabens are used as preservatives in personal care products e.g. deodorants, lotions, moisturizers, creams, make up, shampoos, toothpastes, etc. On the label, you can find it in one or many of these 7 forms: methylparaben, ethylparaben, propylparaben, isopropylparaben, butylparaben, isobutylparaben, and benzylparaben. Parabens are thought to interfere with the way our body produces and regulates estrogen and other hormones. Furthermore, there are estrogen-sensitive tissues in the breast. The concern is that if you apply antiperspirants that contain parabens close to this tissue on daily basis, they may promote the growth of cancer cells. Lab data from UK showed that mixing different parabens can strengthen the ‘estrogenic’ effects. Whilst this correlation might not be conclusive, the concerns arising from long term, low-dose exposure of these chemicals pose real health risk. Phthalate is an ingredient used in many personal care items that help fragrance last or linger longer on your skin or hair. On the product label, look out for DBP, DEP, DEHP, BzBP, DMP, DINP, etc. They appear to disrupt the way our body produces and uses testosterone, a hormone that plays a key role in energy maintenance. They may also affect the reproductive ability in men and baby development in pregnant women. Some research links this chemical to lower IQs . Despite the various claims by organizations such as The American Cancer Society, Cancer Research UK, etc. that it is not conclusive that the ingredients in antiperspirants cause cancer, the risks are real. Providing proof of harm is extremely difficult, costly and time consuming, which is why unless a chemical is ‘proven’ harmful with a direct causal effect, regulators still allow you to slather it on your body. And, people usually like the idea of a quick fix but unfortunately, this isn’t as straightforward until more is being researched and known. Avoiding and cutting aluminium was an obvious answer to our dilemma! And, it also means cutting “Crystal” deodorant stones. The crystal deodorant is a popular ‘natural’ alternative to antiperspirant because it claims to be aluminium-free. But fact is, it may contain a different type of compound known as alum. The common one is Potassium Alum (also known as Potassium Aluminium Sulfate). Because Potassium Alum are natural mineral salts that are mined from the ground and they are made up of molecules that are too large to be absorbed by the skin, it is arguably ‘natural’. Whilst this is relatively a better alternative, it is still not completely aluminium-free. 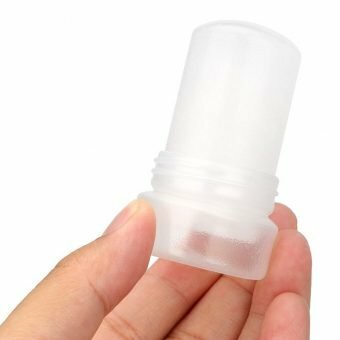 Aluminium found in crystal deodorant may be listed as “natural mineral salts”, “natural rock salts”, or “potassium alum” (potassium aluminium sulphate). Once you decide that antiperspirant is no longer for you, you are now better prepared to give natural deodorants a try! Bellary Nature and its sister brand, Reverie curated a series of improved formulation of Natural Deodorants that cater to everyone, including a range suitable for sensitive skin and as well as ones ideal for pregnant and breastfeeding mothers. Read about the Natural Deodorant Series in this article, The Natural Deodorants Revolution! Chris Callewaert, Prawira Hutapea, Tom Van de Wiele, Nico Boon. “Deodorants and antiperspirants affect the axillary bacterial community.” Arch Dermatol Res. 2014 Jul 31. Flarend, R. et al. (2001) A preliminary study of the dermal absorption of aluminium from antiperspirants using aluminium-26. Food Chemical Toxicology 39: 163-168. Pineau, A. et al. (2012). In vitro study of percutaneous absorption of aluminium from antiperspirants through human skin in the Franz diffusion cell. Journal of Inorganic Biochemistry 110: 21-26. Darbre P. D. and Charles, A. K. (2010). Environmental oestrogens and breast cancer: evidence for combined involvement of dietary, household and cosmetic xenoestrogens. Anticancer Research 30: 815-828. Exley, C. et al. (2007). Aluminium in human breast tissue. Journal of Inorganic Biochemistry 101: 1344-1346. House, E. et al. (2013). The aluminium content of breast tissue taken from women with breast cancer. Journal of Trace Elements in Medicine and Biology 27: 257-266. Mannello, F. et al. (2009). Concentration of aluminium in breast cyst fluids collected from women affected by gross cystic breast disease. Journal of Applied Toxicology 29(1): 1-6. Norwegian Scientific Committee for Food Safety. (2013). Risk assessment of the exposure to aluminium through food and the use of cosmetic products in the Norwegian population. European Scientific Committee on Consumer Safety (SCCS) (2014). Opinion on the safety of aluminium in cosmetic products SCCS/1525/14. European Scientific Committee on Consumer Safety (SCCS) (2017). Request for a scientific opinion: Submission II on the safety of Aluminium in cosmetic products. March 2017. Pam Factor-Litvak, Beverly Insel, Antonia M. Calafat, Xinhua Liu, Frederica Perera, Virginia A. Rauh, Robin M. Whyatt. Persistent Associations between Maternal Prenatal Exposure to Phthalates on Child IQ at Age 7 Years. PLOS. December 10, 2014. This entry was posted in Deodorant vs Antiperspirants and tagged aluminium in antiperspirant, antiperspirant makes you smell worse, body odour, children and deodorant, crystal deodorant, deodorant and antiperspirant, deodorant and sweating, harmful ingredients of antiperspirant, paraben and antiperspirant, phthalate and antiperspirant. Antiperspirants: Are They Doing More Harm than Good?